To share a remembrance of Ron, please contact Martha Howard. Born in Baltimore, Dr. Hoffman graduated from Baltimore City College in 1959. His high school career included playing the position of lineman on the football team, which, depending on who is recounting the story, won a fierce contest against a local private school team quarterbacked by a later professional colleague, Professor Peter H. Wood. Following his graduation from City, Ron joined the United States Navy, and served as a Sea Duty Helmsman aboard the USS Newport News, an experience that remained a source of pride to him throughout his life. When his enlistment ended in 1961, he enrolled in Baltimore Junior College and upon finishing his course of study there, completed his undergraduate degree in 1964, at the George Peabody College (now part of Vanderbilt University). At the urging of a mentor at Peabody, Dr. Hoffman entered graduate school at the University of Wisconsin, Madison, where he was a member of the seminar directed by the renowned historian Merrill Jensen. He earned his Ph.D. from Wisconsin in 1969 and joined the history department at the University of Maryland, College Park, where he was, during his tenure (1969–1992), Assistant Professor, Associate Professor, then Professor of History. Johns Hopkins University Press published his first book, A Spirit of Dissension: Economics, Politics, and the Revolution in Maryland, in 1973. Dr. Hoffman also co-authored a textbook, The Pursuit of Liberty: A History of the American People, with R. Jackson Wilson, James Gilbert, Stephen Nissenbaum, Donald Scott, and Carville V. Earle (Alfred A. Knopf, 1983), and contributed essays and articles to scholarly journals and edited collections. Beginning in 1978, Dr. Hoffman, at the request of the United States Capitol Historical Society’s founding president, Iowa Congressman Fred Schwengel, convened a series of historical conferences focused on the American Revolutionary and Confederation periods through the creation and ratification of the Constitution and the early years of the new Republic. These meetings produced a remarkable fifteen volumes of essays, edited by Dr. Hoffman, his colleague and collaborator Dr. Peter J. Albert, as well as a number of other scholars as co-editors and published by the University Press of Virginia. Among these is Slavery and Freedom in the Age of the American Revolution, edited by Dr. Hoffman and his longtime friend, fellow University of Wisconsin alumnus, and College Park colleague, the late Dr. Ira Berlin. Throughout his academic career, Dr. Hoffman served as editor and project director of the Charles Carroll of Carrollton Papers. In 2001 he published, with co-editors Sally D. Mason and Eleanor S. Darcy, the first three of a projected seven volumes. Entitled Dear Papa, Dear Charley: The Peregrinations of a Revolutionary Aristocrat, as Told by Charles Carroll of Carrollton and His Father, Charles Carroll of Annapolis, with Sundry Observations on Bastardy, Child-Rearing, Romance, Matrimony, Commerce, Tobacco, Slavery, and the Politics of Revolutionary America, the books won the Maryland Historical Society Book Prize and the J. Franklin Jameson award from the American Historical Association for outstanding editing of historical sources. The previous year he published, in collaboration with Sally D. Mason, a scholarly analysis of the Carroll story entitled Princes of Ireland, Planters of Maryland: A Carroll Saga, 1500–1782. In 2001, the monograph won the Southern Historical Association’s Frank L. and Harriet C. Owlsey Prize and the Library of Virginia’s Literary Award for Non-Fiction, and in 2002, the Maryland Historical Society Book Prize. Dr. Hoffman, Dr. Mary C. Jeske, and Ms. Mason were at work on the final four volumes of the Carroll Papers at the time of his death. These volumes will be published by the Maryland Historical Society in 2019. On his retirement, Dr. Hoffman remembered that leading the Institute had felt to him like “assuming a sacred trust.” The Institute, founded in 1943 and sponsored by William & Mary, publishes the flagship journal in the field, The William and Mary Quarterly, has a book program co-publishing with the University of North Carolina Press, awards fellowships to scholars, and convenes meetings and conferences. 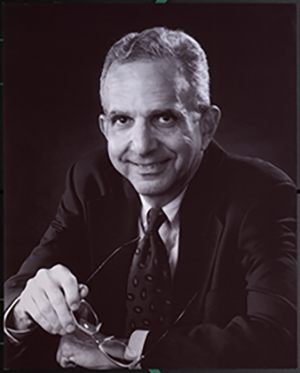 Appointed director in 1992, Dr. Hoffman guided the organization through significant changes that helped to advance the field of early American history. Investing extraordinary energy in developing innovative scholarly programs and publications, he inaugurated an annual convening of early Americanists aimed especially at supporting the work of scholars who were just entering the profession. Among the dozens of national and international forums he organized were a series of conferences designed to foster historical scholarship on slavery. These began in 1998, with a meeting to introduce the publication of the W. E. B. Dubois Institute Dataset of Slaving Voyages and included a conference held in Ghana in 2007 to mark the 200th anniversary of British efforts to end the transatlantic slave trade. He played an instrumental role in the intellectual lives and professional development of dozens of leading early American scholars, many of whom held fellowships at the Institute during his tenure. He also shepherded the Institute’s naming gift from Malvern H. and Elizabeth Omohundro. At Maryland and at William & Mary, Dr. Hoffman was a mentor and advisor to scores of graduate students. His undergraduate and graduate courses on the American Revolution were justly famous among William & Mary students for the depth and breadth of reading he required. He was honored with the Pullen Chair in History at William & Mary from 2004-09. He also served on a number of academic advisory groups and editorial boards. Dr. Hoffman will be buried at Moshav Sde Nitzan in Israel, long a dream of his. He will be deeply missed by his family, friends, and colleagues, all of whom remember him with abiding affection and gratitude. Memorial gifts may be directed to the Omohundro Institute, which sponsors the Ronald Hoffman Postdoctoral Fellowship in his honor. Omohundro Institute, PO Box 8781, Williamsburg, VA, 23187-8781, or contact Shawn Holl at saholl@wm.edu.